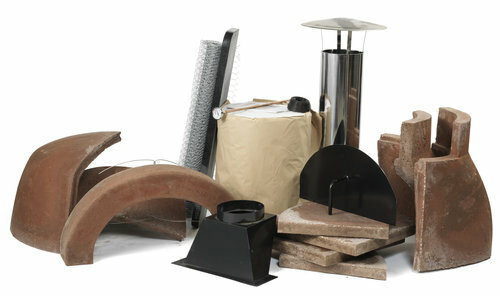 A DIY wood fired pizza oven kit from Polito includes all the components to build a wood fired oven in your home. 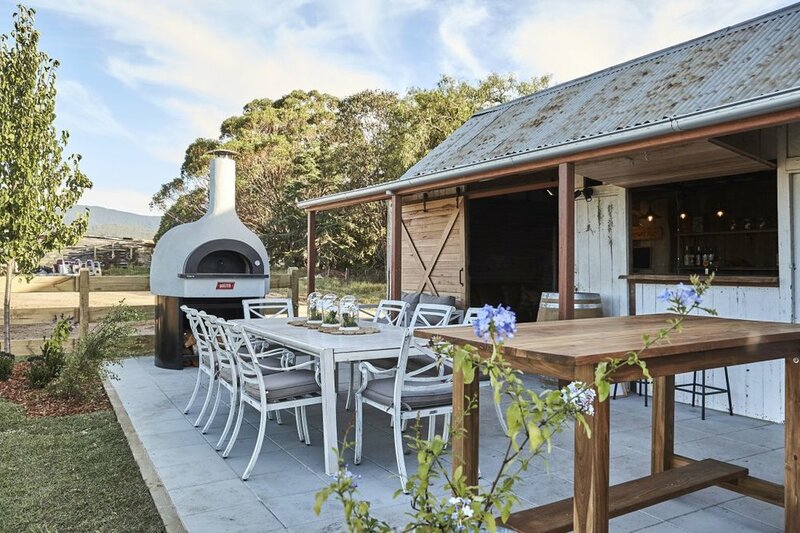 Get started on your DIY outdoor oven today. The DIY Home Oven Kit enables you to build and create your very own wood fire oven. There are four sizes to choose from; Michelangelo (small), Donatello (medium), Raffaello (large), and Leonardo (extra large), with the option of a round arch or square arch. A highly detailed, easy-to-follow DIY instructions guide. Phone and email support; Monday - Friday, 8.00am - 4.00pm. The DIY Home Oven Kit includes; a pre-cast refractory dome and floor, arch in steel or refractory, granite mantle, temperature gauge, three piece stainless steel flue kit, insulation blanket, wire mesh, and metal string, and Polito offer the metal stand and formwork as an add-on. The DIY Home Oven Kit’s will be the perfect addition to any backyard, bringing friends and family together. *Home assembly - 25-35 hours building time. The Michelangelo ‘14th Century Sculptor’ is ideal for cooking up to five small pizzas at once. We bought a kit years ago and it came up a treat. We are now moving house and we will be buying a second Polito oven for the new house. Talk soo, Polito! The Donatello ‘15th Century Sculptor’ is ideal for cooking eight small pizzas at once, or four small pizzas, and a well sized tray of meat or vegetables. I thoroughly recommend Polito ovens. I am just about to finish my oven (DIY Kit). The guys were very supportive and knowledgeable. They were always eager to help and their ovens are fantastic. The Raffaello ‘15th Century Painter’ is ideal for cooking up to ten small pizzas, or two large trays with room for more. The Leonardo ‘14th to 15th Century Painter’ is ideal to cook up to twelve small pizzas, or three large trays comfortably, and more. ...already had a couple of “pizza parties” and cooked roast chicken, porchetta and tried my hand at “Kleftico” - slow roasted Greek style lamb with potatoes. It’s easy to use and really brings our Family and friends together, which is a great thing. The Polito Family are a joy to deal with and we couldn’t recommend them highly enough! !